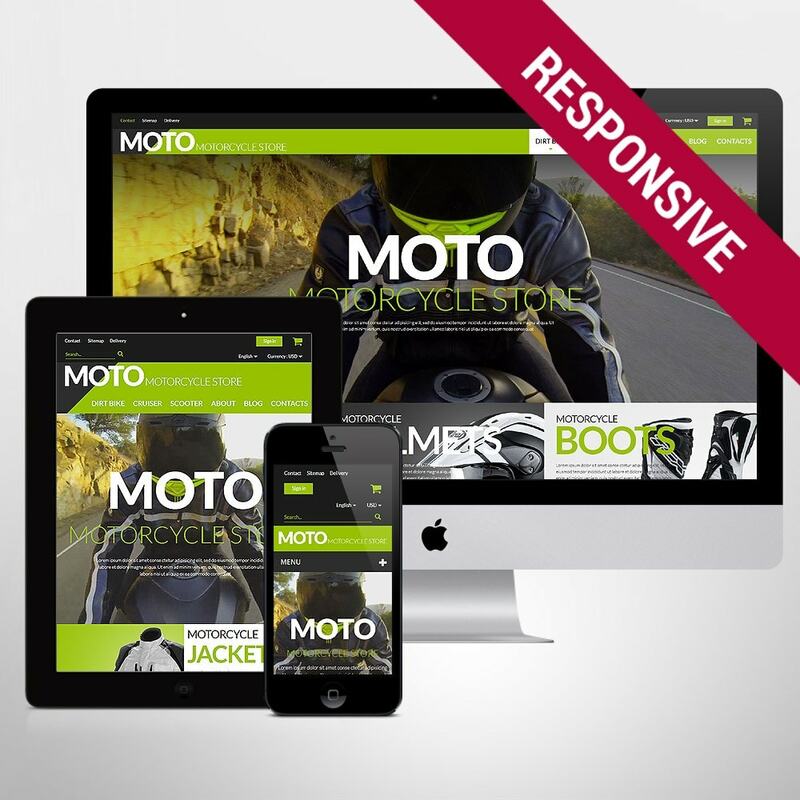 The theme was specifically designed for e-Commerce stores selling bikes and accessories. 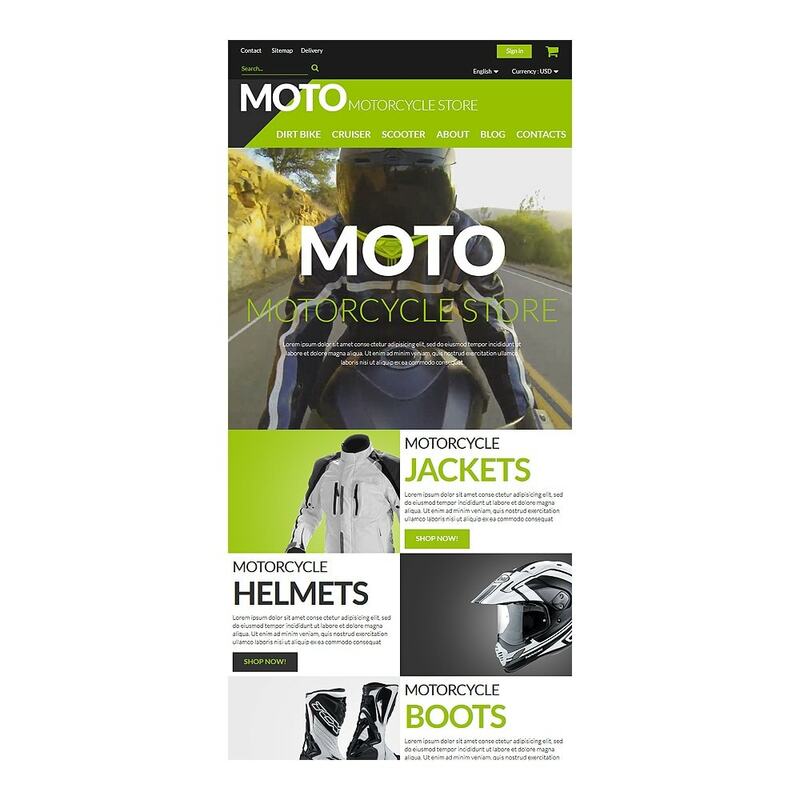 Motorcycle PrestaShop theme is created in dark and light-green colors. Bright banners enhance main navigation. 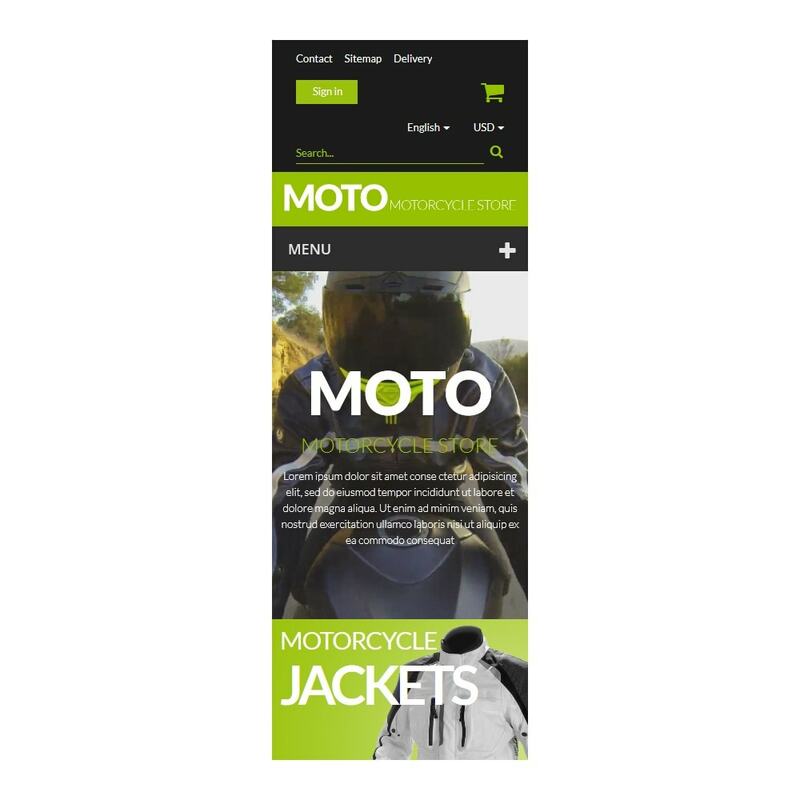 Featured products look good over the white background. 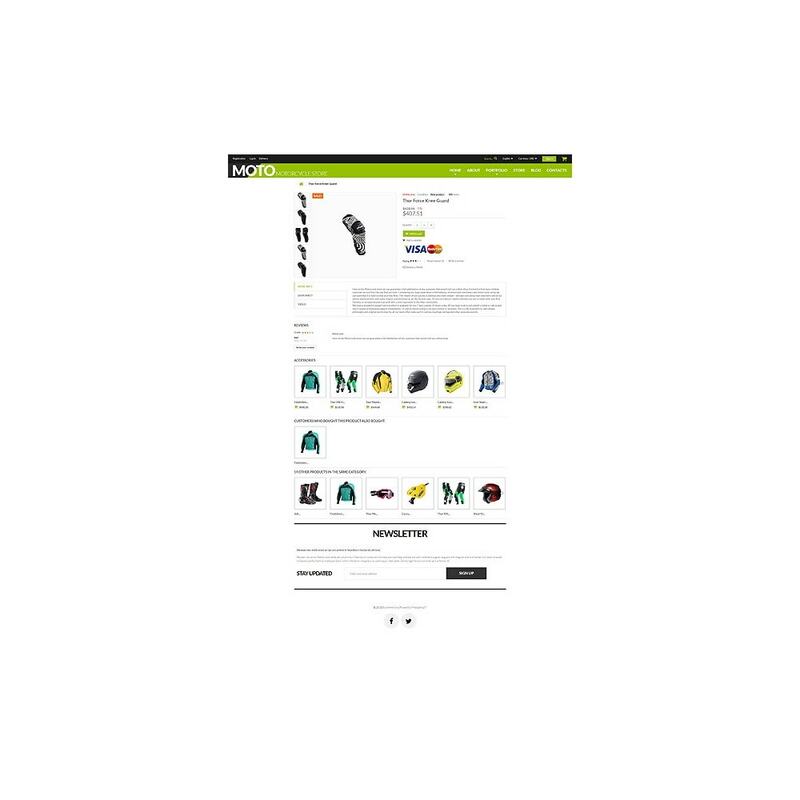 They are placed in four columns and supplied with a number of additional options. 'Services' and 'Blog' sections are also included into the web page. Newsletter subscription form is right above the Google map. 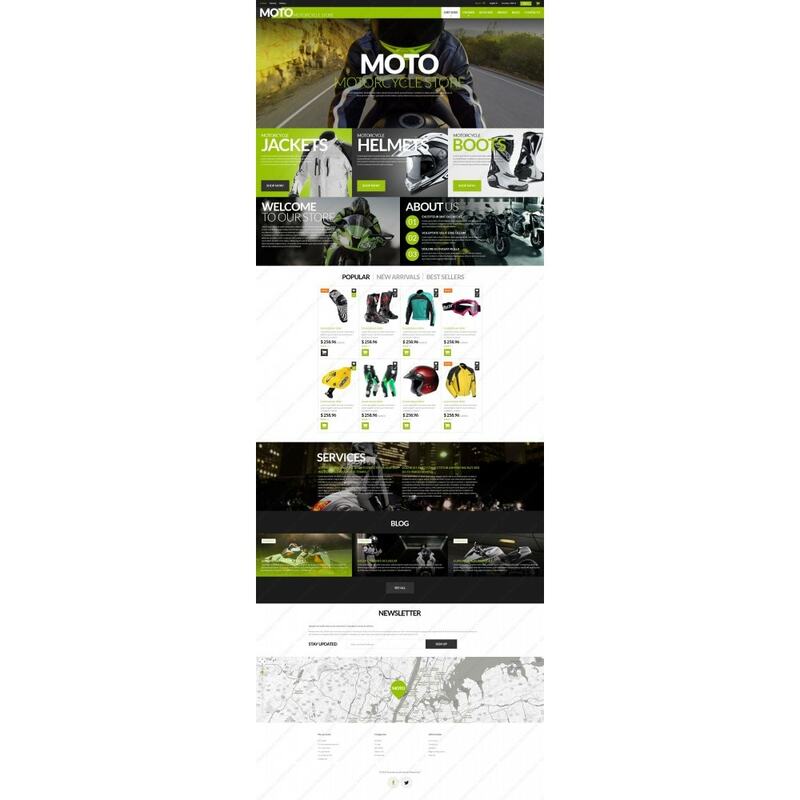 Social media icons are at the footer. 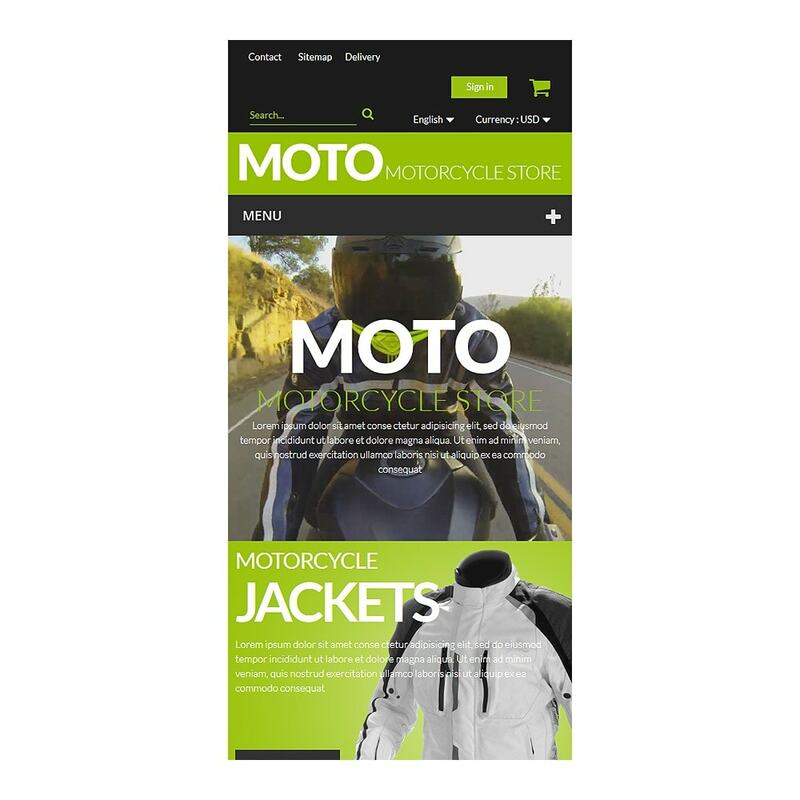 Start selling your bikes and gear online with this pre-designed store.